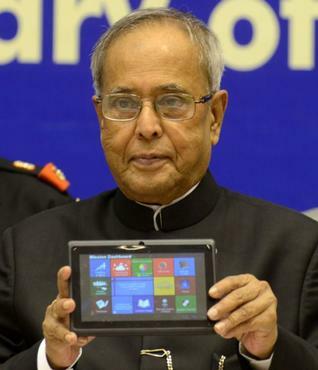 Here comes another new upgraded tablet Aakash 2 from Datawind Company and was launched by the president of India Mr.Pranab Mukherjee on Sunday. 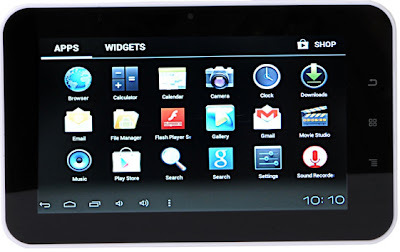 The successor to the aakash tablet comes the new improved features than the previous versions we have known. i.e aakash 2 is three times faster than the previous one and is having more features when compared with aakash. Aakash 2 tablet is releasing with the 2 different prices.The cost of aakash tablet for common people on the official website is Rs.4499 INR. For students in India here is a good news for you.When it comes to the students the cost of tablet is available at Rs.1,130 only.They can buy the this tablet via their educational institutions.This whole low cost program is sponsored by the government of India to their students in the subsidy scheme.They want to sell this tablet at the subsidized cost for the students to help them in get the best education. 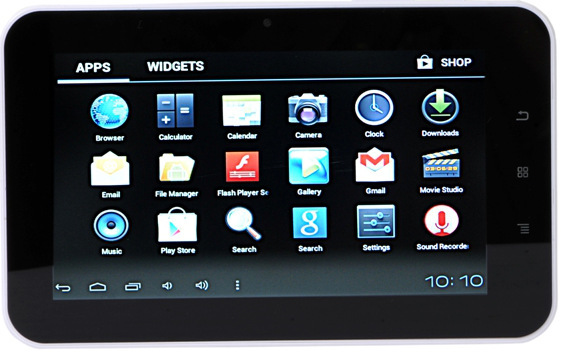 The HRD ministry in association with the british datawind company made a deal with this aakash 2 tablet. The government is buying the aakash 2 at a price of Rs.2265 and it is selling at half the price they bought 50% discount for the students of India @ Rs.1130. Lets hope it wont repeat like the previous late deliveries that one had caused serious damage in the fame of aakash. How to buy the new Aakash 2 tablet ? The low cost Aakash 2 tablet is coming to the market and they(company) said their deliveries will be very soon not like previous.The government has launched aakash 2 as a Diwali bonanza for the Indians. For students they can buy their aakash 2 tablet via their respective educational institutions or if they wish they can buy from the official Datawind company website at the commercial price. For general people/Non-Students for them this tablet is little costly when compared with the students.This will be available at official website. They can book their tablet at the website. We hope that all the deliveries made by the people gets soon and hope not it repeats the previous mistakes.If you find something wrong or we missed out anything don't hesitate to let us know. Feel free to comment down here and let us know your views or any questions regarding the tablet. Good Article! Me also thinking today morning to write such article... but 1 days of vacation left... so seeing movies!! Keep blogging on regular basis for more increase in alexa. Good to see the government trying its hand at providing such technology to common man. Yeah but the datawind company does release its products regularly but the delivery of product is very bad.